Organised by the Submarine Geomorphology Working Group in collaboration with MaRHE centre – Magoodhoo, Faafu Atoll, Republic of Maldives. The aim of the course was to provide training to eleven participants, hailing from Italy, India, Hong Kong, Australia and the Maldives, on techniques used to map and collect geomorphological data in coral reef environments. Daily activities spanned from the acquisition, processing and interpretation of terrestrial data with an Unmanned Aerial Vehicle (UAV) platform and the use of Structure from Motion (SfM) photogrammetry to generate DEMs and orthophotos, acoustic seafloor data (i.e. : bathymetry and backscatter using a shallow water multibeam echosounder), sediment samples and underwater videos (using a Remote Operated Vehicle (ROV)), as well as the generation of bionomic transects. The final goal of the training course was for the students to be able integrate the above data in a GIS environment and generate a fine-scale 3-dimensional representation of coral reefs and associated landforms. 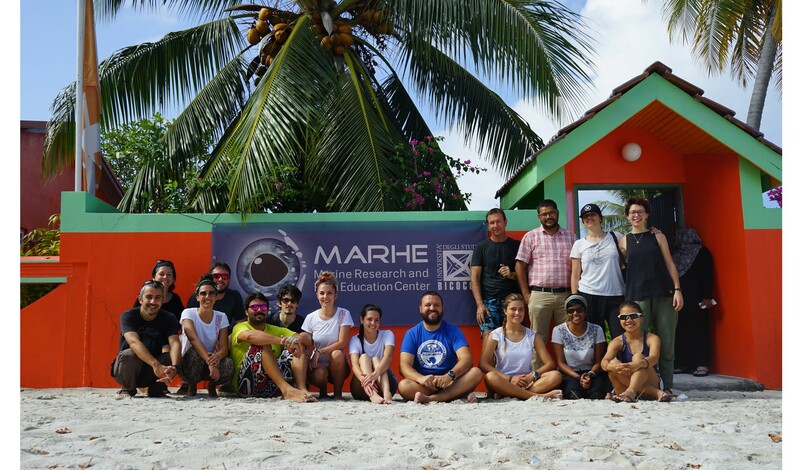 The course was organised by the International Association of Geomorphologists’ Working Group on Submarine Geomorphology in collaboration with MARHE centre (Magoodhoo, Faafu atoll, Maldives). The aim of the working group is to establish submarine geomorphology as a field of research and promote an exchange of ideas and techniques between terrestrial and marine geoscientists. The training course on mapping technologies in coral reef environments was part of the working group’s efforts to disseminate state-of-the-art techniques used by submarine geomorphologists among students and professionals. The course involved 9 days of intensive activities, covering more than 80 hours of hands-on activities in the field and laboratory that were integrated with lessons in the classroom. The lessons were held at the Marine Research and High Education Centre (MaRHE Centre) of Milano-Bicocca University in Magoodhoo Island, Faafu Atoll (Maldives). All field activities were carried out on board a traditional dhoni (wooden sailing vessel used in Asia). Laboratory activities included the use of dedicated software (i.e. : ArcGIS, Agisoft Photoscan, Qimera, Qinsy, Fledermaus, Agisoft, Gradistat, SedLog and others) for processing, visualising and interpreting collected data, as well as sedimentology exercises. 13:30 LAB activity 02: Data Processing (bionomic transects) and implementation of results into the GIS project. Integration of satellite data. 16:00 LESSON 06: Monitoring Coral Reef environments with drones (UAV). The IAG Submarine Geomorphology working group thanks all participants for their enthusiasm and dedication, which made the course a unique opportunity to practise and learn mapping techniques for coral reef environments in a pleasant and relaxed environment. The success of the course was also a result of the support of the director of the MaRHE centre Paolo Galli, the administrative manager of the MaRHE centre Anna Marchetti, all Maldivians that provided their assistance at the centre and during field work (in particular the captain of the dhoni Abduratman Siragiu), the head of the Magoodhoo council Abdullah Waheed and member of the council Ibrahim Zuhoor, and the great work done by Fabio Marchese and Luca Fallati. NEOSAIR, Socotec GeoMarine, QPS Netherlands are gratefully acknowledged for sponsoring the course. We’re pleased to publish the IAG Highlights from January-February 2019, which you can find here. The IAG highlights replaces the traditional newsletter. 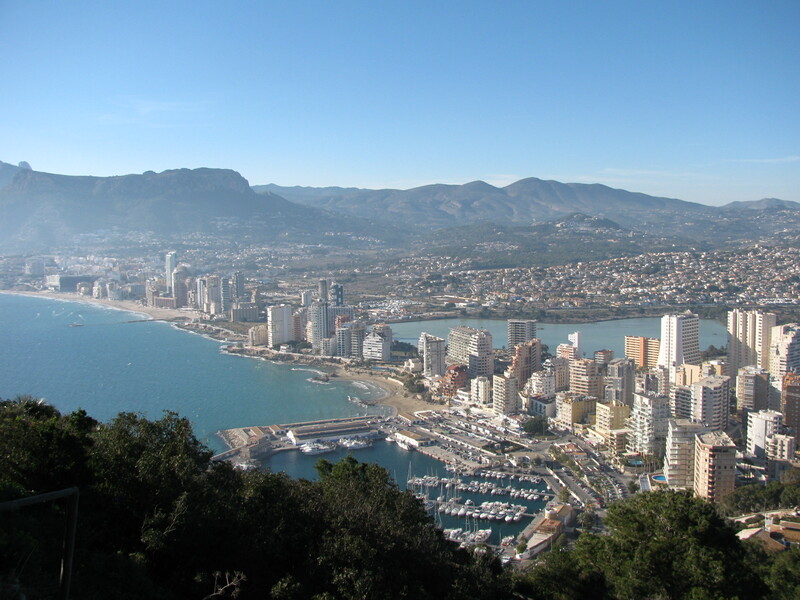 We are pleased to release the first circular for the Second Workshop of the IAG Working Group DENUCHANGE (Denudation and Environmental Changes in Different Morphoclimatic Zones) will be held 12-14 September 2019 in Calpe, Spain. All colleagues are encouraged to express their interest in participation by 15 May 2019 to achim.beylich@gmail.com and then will receive all necessary further information on the workshop (binding registration with payment of registration fee and abstract submission, travel information, information on accommodation in Calpe being available for booking) shortly after 15 May 2019. Full information can be found at the PDF here. C – 2 grants of 100 euros to young geomorphologists coming from Italy. The aim is to support the participation of foreign and Italian young geomorphologists in the VIII Young Geomorphologists’ Days that will be held in Milan and Veny Valley (Mount Blanc Massif) 26th-28th, June 2019. For details and for how to apply see the AIGeo site here. The conference is organized by the IAG Working Group Rock Coasts and AiGEO – Associazione Italiana Geografia Fisica e Geomorfologia. The meeting is intended as a forum to discuss advances in the study of rock coasts and will include a range of presentations relevant to the Conference theme. The organizing committee will review proposed papers and posters titles and abstracts, and, if successful the author(s) will be invited to present their work at the Conference. Please see their website for more information. The IAG is providing its auspices for the 16th East Eurasia International Workshop on Present Earth Surface Processes and Long-term Environmental Changes in East Eurasia to be held at the Library Conference Hall of National University of Mongolia in Ulaanbaatar on 16-20 September 2019. The purpose of the Workshop is to exchange modern and historical environmental information in East Asia region for clarifying “Present Earth Surface Processes and Long-term Environmental Changes in East Eurasia” for the better understanding of Earth landscape and climate evolution.The 16th East Eurasia International Workshop aims to provide a forum for accessing to the most up-to-date and authoritative research from Quaternary geology, sedimentology, geography, geomorphology and environmental sciences. The submission deadline for abstracts is 15th July 2019 and the registration fees are 500 US$. Please find details in the second circular here. The IAG Submaine Geomorphology Working Group is organising a training course on Mapping Technologies in Coral-Reef environments from 10-19 March 2019 at MaRHE center – Magoodhoo, Faafu Atoll, Republic of Maldives. More information can be found at this link and details of the course can be found here. The IAG Working Group on Red Beds and Danxia Geomorphology is hosing the 4th International Symposium on Danxia Landform (joint with the 19th National Academic Symposium of Red Beds and Danxia Landform Yan’an Tourism Development Conference) from 18-22 August 2019 in Yan’an, Shaanxi, China. All papers (and abstracts) should be submitted to the conference liaison office via e-mail before July 20, 2019 with the maximum length of eight A4 pages (including figures and tables). For further details on the conference please see the first announcement here. 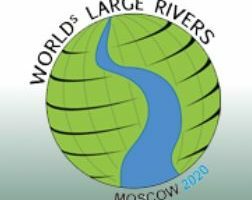 The IAG is providing its auspices for the 16th East Eurasia International Workshop on Present Earth Surface Processes and Long-term Environmental Changes in East Eurasia to be held in Ulaanbaatar, Mongolia on 16-20 September 2019. Please find a copy of the first circular here. We’re pleased to publish the IAG Highlights from July-December 2018, which you can find here. The IAG highlights replaces the traditional newsletter. The International Association of Geomorphologists (IAG) is offering a number of grants for YOUNG GEOMORPHOLOGISTS (under 35 yrs old) who are willing to take part in the IAG Regional Conference on Geomorphology (Athens, Greece, 19-21 September 2019) and related 2nd IAG-EGU Intensive Course for Young Geomorphologists (Hellenic Centre for Marine Research Faculties, Anavyssos Attica and Harokopio University of Athens, 22-27 September 2019). The grants are offered to Young Geomorphologists from less-favoured countries worldwide (with a Purchasing Power Parity below 22,000 international dollars, according to the World Development Indicators database, World Bank, revised 21 September 2018). For details see here. For countries with unavailable PPP in international dollars for 2018, please refer either to the US dollars column or to tables released in previous years by the World Bank. The Regional Conference on Geomorphology will take place in Athens. Organized by the Greek Committee for Geomorphology & Environment of the Geological Association of Greece and open to all scientists and practitioners, it will include scientific sessions and keynote lectures as well as the 2nd IAG-EGU Intensive Course for Young Geomorphologists dealing with ‘Coastal geomorphology of climatically and tectonically sensitive areas’. 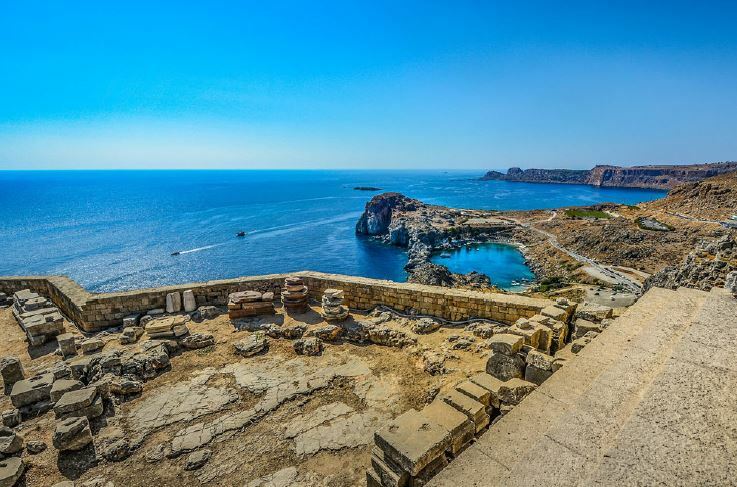 Field trips will be arranged in various islands of the Aegean Sea, both before and after the Conference. The funds allocated by the IAG to support Young Geomorphologists are 6000 euros. In addition, the European Geosciences Union (EGU) has allocated a budget to co-sponsor the 2nd IAG-EGU Intensive Course for Young Geomorphologists. The amount of single grants will depend on the country of origin (or place of residence) and on estimated financial needs of the grant winners. The grants are intended to cover (at least partially) travel costs to and from Athens, accommodation during the Conference and fee of the Intensive Course. In addition, the Organizing Committee will waive the Conference registration fee. The participation in the Intensive Course is highly recommended and the intention to participate in the Course will be considered as a preferential title in the selection of the applicants. Applicants should have a special interest and research experience in the themes of both the Conference and the Intensive Course, to be proved by their CV. For further information on the Conference, please visit the Conference website. – Abstract submitted (or to be submitted) to the Conference. The above mentioned documents should be submitted to Marta Della Seta at iaggrantoffice@gmail.com specifying “IAG Grants – RCG2019” in the subject of the accompanying e-mail). The selection of candidates will be carried out by a Commission appointed by the IAG Executive Committee. For further information on the IAG Grants, feel free to contact the IAG Training Officer. Priority will be given to applicants who intend to participate in the Intensive Course for Young Geomorphologists. 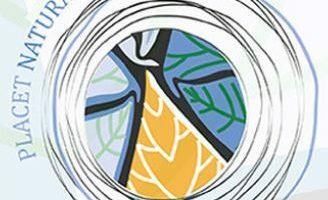 We are pleased to announce that the second circular for the IAG’s regional conference in Athens is now available here. 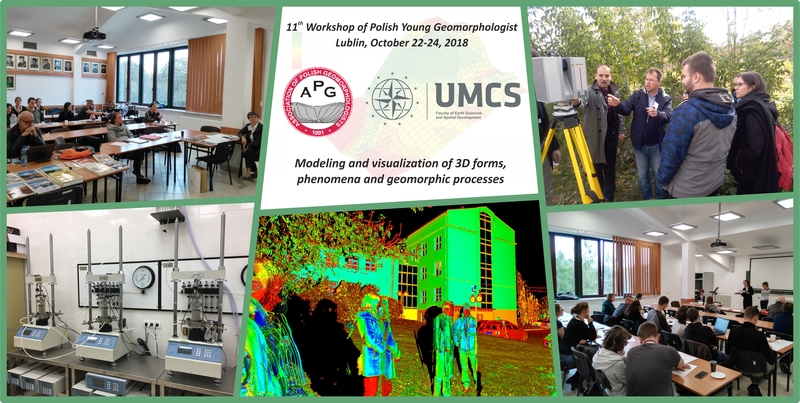 The eleventh edition of Polish Young Geomorphologists Workshops, whose main initiator and co-organizer was the Association of Polish Geomorphologists (APG), was held on October 22-24, 2018, at the Faculty of Earth Sciences and Spatial Management of the Maria Curie-Skłodowska University in Lublin. 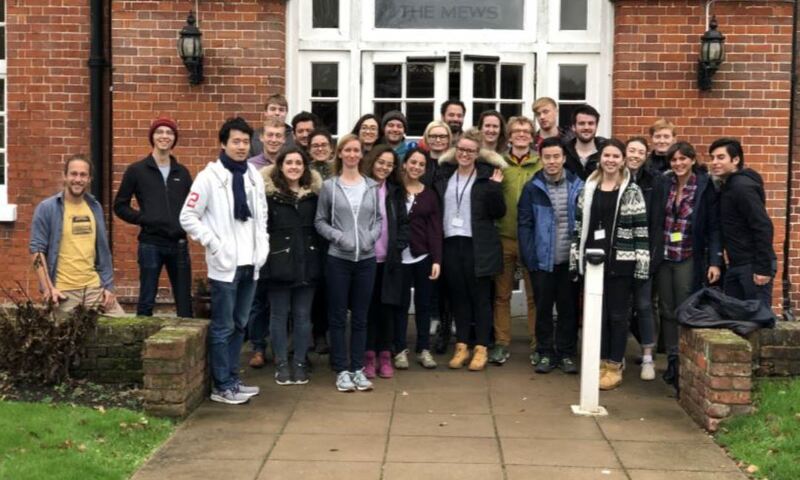 Sixteen young students of geomorphology took part in the meeting entitled ‘Modelling and visualization of 3D forms, phenomena and geomorphic processes’. The participants represented the University of Łódź, the University of Wrocław, Maria Curie-Skłodowska University in Lublin, Nicolaus Copernicus University in Toruń, the University of Silesia in Katowice and the Polish Academy of Sciences in Warsaw. 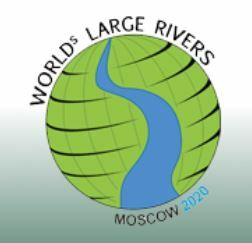 The idea of the workshop was to introduce participants with the most recent research trends focused on the high-definition field surveys, modelling and visualization of landforms, geomorphic phenomena and processes and acquiring knowledge in the field of research planning and organizing, strategies for raising funds, rules for submitting of research projects, as well as rules of preparation of lectures and scientific publications. The workshop program included three days of training with varied formats, which were linked by two main themes. The first ‘Analysis of the stability of slope sediments’, conducted by dr Piotr Demczuk, was devoted to the methodology for testing slope sediments and their numerical analysis in the context of landslide hazard, using geotechnical tools. The second ‘Geomodelling the loess gullies’, led by prof. Grzegorz Janicki – included practical training using terrestrial laser scanning (TLS & 3D technology). President of Association of Polish Geomorphologists – prof. Małgorzata Mazurek – presented a historical draft of the origin and development of the Association and the functioning and scope of its activities, with particular attention to the place of young adepts of science in the structure of this organization. In addition, as part of the lecture of prof. Piotr Migoń (University of Wrocław), workshop participants had the opportunity to learn about the history, structure and functioning of the International Association of Geomorphologists (IAG), and listeners learnt about the benefits resulting from activities within this organization. Workshop participants found out more about planning and organization of scientific research presented by prof. Zbigniew Zwoliński (Adam Mickiewicz University in Poznań) as well as strategy of raising research funding and rules for the preparation of research projects – led by prof. Piotr Migoń. Each of the participants presented the concept of their own research project. The workshop program also included issues related to the preparation of scientific publications and rules for their review – prepared by dr Anna Orłowska. In the summary of the meeting, attention was paid to the important role played by such meetings in the scientific development of every researcher. The workshops ended with handing over the certificates of the completion of the 11th Young Geomorphologists’ Workshop and an invitation for their next edition, which will take place in 2019 at the University of Łódź. The primary goal of the Deep-time Digital Earth project is to develop an open platform facilitating efficiency and effectiveness of utilization of varieties of digital earth data with proper temporal and spatial reference according to paleogeology and paleogeography rather than to today’s geology and geography. The abstract submission is now open for the VIII Italian Young Geomorphologists’ Days supported by the IAG. The meeting will focus on “Sharing experiences on geomorphological research in different morphogenetic and morphoclimatic environments”. It will take place from 26th to 28th June 2019. The meeting comprises 2 days of scientific presentations (26th and 27th June) at the prestigious Sala Napoleonica of the University of Milan, and 1 day (28th June) will be dedicated to the fieldtrip in the Veny Valley (Mont Blanc Massif) focusing on mountain environments dynamics, mapping and monitoring, guided by University of Turin. A copy of the First Announcement can be found here. The first edition of Romanian Young Geomorphologists Day was held on Friday, 13th of July 2018, at the Faculty of Geography, Babeș-Bolyai University of Cluj-Napoca, under the organization of the Romanian Association of Geomorphologists and the auspices of the International Association of Geomorphologists (IAG). A total number of 25 participants from the Romanian Academy, University of Bucharest, Alexandru Ioan Cuza University of Iaşi, Babeș-Bolyai University and Gheorghe Lazăr High School (Cluj-Napoca) attended this event. During the official opening, Dr. Mihai Micu (President of the Romanian Association of Geomorphologists, IAG Secretary General) gave an overview on the support provided by the International Association of Geomorphologists for the organization of such events, at both national level as well as at the international one, an International Day of the Young Geomorphologists being among the priorities of the IAG’s Training Programme. The opening was followed by two sessions of oral presentations gave by Romanian young geomorphologists, with focus on modern research methods applied for the analysis of various geomorphological processes such as SAR remote sensing techniques, reconstruction of paleoriver systems, landslide mapping and investigation, glaciation and deglaciation reconstruction, dendrogeomorphic reconstructions. 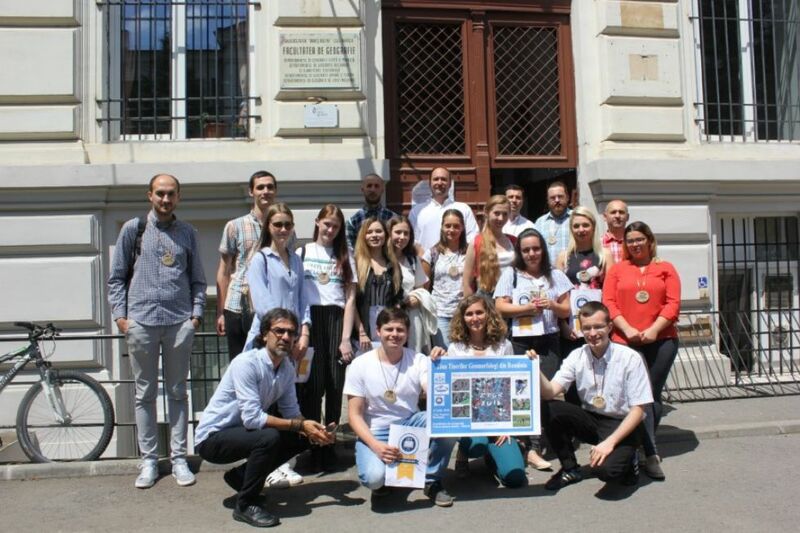 In the week before the event, a Summer School entitled Dendrochronology applied in natural hazards assessment was organized by the team of Laboratory of Dendrochronology from the Faculty of Geography, Babeș-Bolyai University. The participants discussed their results as an extended oral presentation during the second session of the Romanian Young Geomorphologists Day. The concluding discussions emphasized the role of such meetings to be held yearly as a necessity for the young geomorphologists career development; the perspectives of organizing the next editions of the Romanian Young Geomorphologists Day during the Romanian National Symposium on Geomorphology was unanimously acknowledged. 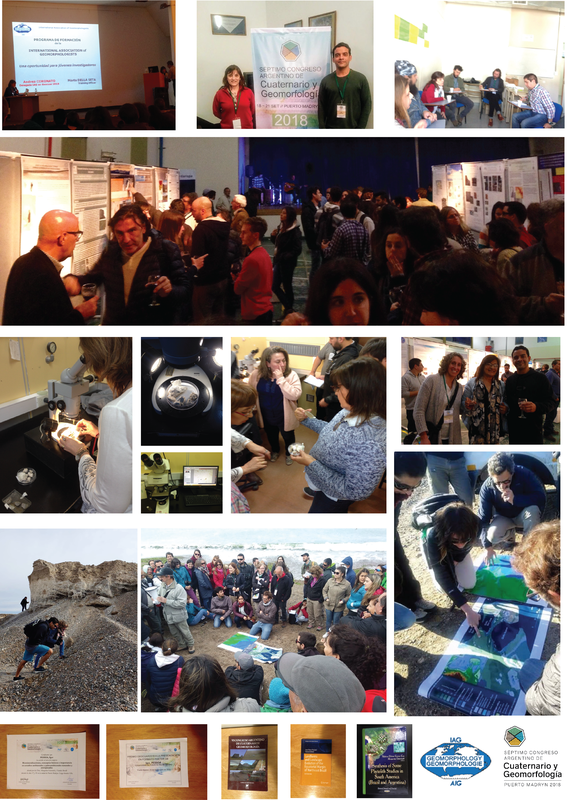 Mosaic of images from Geocuar 2018 held in Argentina 18-21 September 2018, compiled by Igor Pessoa. I would like to thank the International Association of Geomorphologists for the student travel grants to participate in the 7o Congreso Argentino de Cuaternario y Geomorfología, “Geocuar 2018” organized by Argentine Association of Geomorphology and Quaternary Studies (AACG). During the conference I met Dra Andrea Coronato, and after we talked about the intentions of IAG, I become member of the Argentine group. My idea now is to become an active member in both groups (Brazilian and Argentine) to promote the IAG initiatives between the Young Geormophologists. In the conference I presented my work in the Antropoceno poster session, I was also able to attended the mid-day field trip, the short course about Biomineralization and environmental studies (class by Dra. Margarita Osterrieth and Dra Natalia Borrelli), and the post-meeting field trip in the Peninsula Valdés region. I am glad to announce that I received the premium of best poster presentation in the Antropoceno session where I could share my experience with analysis of Pb isotopes in marine bivalve shells by LA-ICP-MS (Laser Ablation Inductively Coupled Plasma Mass Spectrometry), using bivalve shells as a proxy of Pb pollution to address the source of lead pollution in marine ecosystems. In brief, the IAG student travel grants promotes a chance to culturally enrich both professional and personal experiences. It comes as a benefit to the Young Geormophologists careers and promoting a good opening to meet new people. Finally, I would like to share some pictures of “Geocuar 2018” meeting with the members of IAG. My experience at the GEOCUAR 2018 conference was very enriching. On the one hand I gained experience in the poster presentation, but more important than that was the contact and relationship with colleagues of other nationalities who work on similar topics but who have different perspectives and experiences. With regard to the organization, I would like to greet and congratulate those in charge who made everything excellent, both in the presentations and poster sessions, as well as in the meals, in the camaraderie dinner and in the field. On the other hand, the meeting we had with Dr. Andrea Coronato was very fruitful to learn about the mechanisms and advantages of actively participating in the IAG. The three Chileans that participated were very enthusiastic about promoting and organizing the young geomorphologists of our country and thus develop more intensively the discipline. Finally, I would like to thank the economic help the IAG gave me to participate in the GEOCUAR congress, since without it y couldn´t travel. I hope to keep in touch and to forge new South American relations. The selection for Grants was made by the international committee appointed by the IAG. The selection committee consisted of geomorphologists with affiliations not represented among the applicants. The 1st Workshop of the I.A.G./A.I.G. Working Group on Denudation and Environmental Changes in Different Morphoclimatic Zones (DENUCHANGE) took place in Storkowo-Szczecinek (Poland), 25-27 September 2018. Thank you to James Clapperton for the video tribute used to illustrate this post. The southern South American geomorphologist community says goodbye to Chalmers Clapperton, who passed away on October 23rd, 2018 at the age of 80. Chalmers Clapperton was the most important glacial geologist and geomorphologist to work in Patagonia, and of the entire South American continent, since the pioneering works of Carl Caldenius in 1932 and Egidio Feruglio in 1950. Chalmers contributions to the Geomorphology of Patagonia have become milestones to our knowledge of the surface processes and landforms of this southernmost region, both in Argentina and Chile. All studies performed by Chalmers in the South American continent have remained as classical benchmarks and due references to later workers. He was always right on paper and those of us who have tried to follow his work are fervent admirers devoted to carefully read and deeply meditate about the even more minute details of his papers. His outstanding book on the Geomorphology and Quaternary Geology of South America, published in 1993, has been such a fantastic and unavoidable tool for all of us who have tried to follow his steps in South America that, after 25 years since its publication, we still call it “The Blue Bible”. Chalmers has always been extremely friendly and generous with all his friends and colleagues of Argentina. He did so with great care and generosity, as he always did in all facets of his academic activities. He permanently helped us with our research projects, providing substantial ideas, valuable comments, rational alternatives and badly needed references. We will always remember his kind words, and will be grateful for having partly shared his time on Earth, his jubilant and profound sense of humour, and his blissful and lovely smile. Jorge Rabassa and colleagues from the Quaternary Geology and Geomorphology laboratory, CADIC-CONICET, Ushuaia, Tierra de Fuego, Argentina. Editor’s note: A detailed summary of Chalmers Clapperton’s contributions can be found in the editorial of the Special Issue of the Journal of Quaternary Science dedicated to him, here. 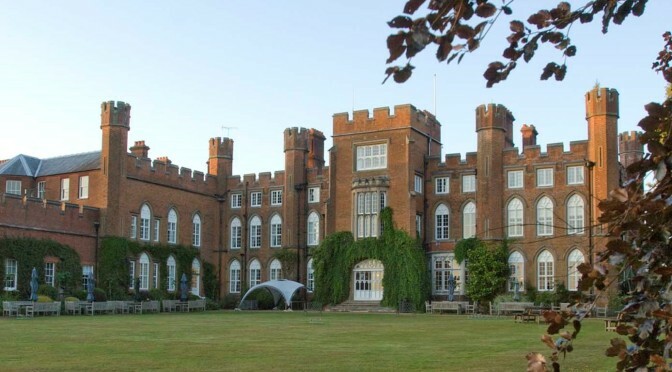 The International Association of Geomorphologists (IAG/AIG) offers 2 grants of 300 (three-hundred) Euros to PhD STUDENTS in GEOMORHOLOGY from EUROPE (except UK) who are willing to take part in the BSG Post-Graduate Training Workshop (Windsor, UK, 3-6 December 2018). PhD students in the first year of their PhD programme will be given priority, but those in their 2nd year can also apply. The Workshop is organised by the British Society for Geomorphology (BSG) and recognised by the International Association of Geomorphologists (IAG/AIG). The course will provide PhD students with elements of training for research and with an opportunity to meet others at an early stage of their training when they were wrestling with the problems of research design etc. – Title and brief summary of PhD research project. The selection of candidates will be carried out by a Commission appointed by the IAG/AIG Executive Committee. The IAG highlights replaces the traditional newsletter and the latest version can be seen here. 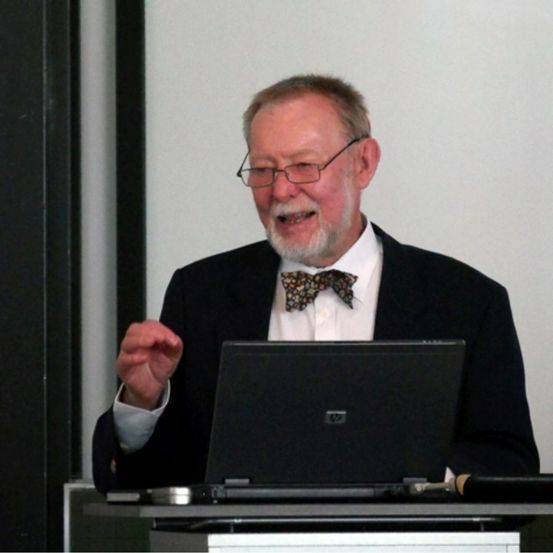 Dietrich Barsch on 3 June, 2016, during the colloquium to celebrate his 80th anniversary (Foto: B. Mächtle). Dietrich Barsch died on 23 May 2018, shortly before his 82nd birthday. Born in Erfurt, Germany, Dietrich Barsch established the basis for his scientific career with studies in Geography, Mathematics, Philosophy and Geology at the Universities of Kiel and Bonn, Germany. After having obtained his PhD in 1962 at the University of Bonn, he moved to the University of Basel, Switzerland, where he achieved his habilitation in 1968. Following intermittent research stays in Baton Rouge and Tempe (USA) he became professor at the University of Kiel in 1972 and in 1974 resumed the chair of Geography at the University of Heidelberg, Germany until his retirement from active service on 30 October 1998 for sudden health problems. Dietrich Barsch was a highly dynamic scientist with extraordinary charisma. He had a remarkable ability to shape his scientific surrounding and to inspire his scholars. His greatest passion was devoted to cold mountains (Alps, Andes, Scandinavia) and the Antarctic. A milestone in the history of high-mountain geomorphology was the introduction and application of precise field measurements such as drilling, geophysics or photogrammetry as part of his advanced studies on cohesive creep and viscous flow of ice-rich permafrost, the so-called rock glaciers. He thereby became one of the promoters of modern geomorphological research considering – based on focused field experiments – material properties, physical/chemical conditions, processes, space and time as elements to understand complex land-forming processes. His early work in this domain indeed triggered a spectacular and continued expansion and progress in permafrost and rock glacier research among the younger generations. He also initiated the Priority Programme of the German Research Foundation (DFG) on Geomorphological Mapping in the Federal Republic of Germany (1976-1984) and contributed essentially to the DFG-Priority Programme on Fluvial Geomorphodynamics in the Younger Quaternary. In parallel to such work, Dietrich Barsch and his research team carried out numerous application-oriented studies, for instance about decentralised flood protection and various hydrological questions in the wider surroundings of Heidelberg. This spectrum made him one of nationally as well as internationally most widely recognized representative not only of Geomorphology but also of Geoecology. A reflection of this is the title of his seminal book “Rock-glaciers. Indicators for the Present and Former Geoecology in High Mountain Environments”. At national as well as international level, Dietrich Barsch was an excellent networker. He assumed the functions of the chair of the German Working Group for Geomorphology (1986-1990), chair of the German Society of Geography (1989-1991) and chair of the International Association of Geomorphologists (1993-1997). He also served the University of Heidelberg as Dean of the Faculty of Geosciences and as chair of the University Governing Board. He was repeatedly honoured for his performances. In 2005 the Ferdinand-von-Richthofen Medal was awarded to him in view of his outstanding merits for research in geomorphology. This put him in a row with famous scientists of the 20th century like Sven Hedin or Erich von Drygalsky. Beyond his unexpected health-induced end of active research and teaching he kept an uninterrupted interest in the development of physical geography. The memory of his innovative and stimulating personality will accompany us. Prof. Dr. Dietrich Barsch passed away on the 23rd of May 2018, shortly before his 83rd birthday. He was an internationally renowned Geomorphologist but also a dedicated representative in the field of Geography. Between 1989 and 1993 he was the chairman of the Central Association of Geography (Zentralverband der Geographie) and the Association of University Teachers of Geography (Verband der Hochschullehrer der Geographie). During this time of reunification of both German states, the realignment of the former German Democratic Republic institutions and their inclusion to the Association was close to his heart, especially as he originated in Erfurt. Many conversations with the colleagues in the Geography departments, the university management and ministries have helped to preserve the existing departments and even to re-establish them. At the same time, he became vice president of the International Association of Geomorphologists (IAG) and the organization’s president for the following four years. During his presidency, he succeeded, along with Denys Brunsden and Olav Slaymaker, to integrate the IAG into the International Council of Scientific Unions in order to raise the international awareness of Geomorphology. His scientific career started in Bonn, where he received his doctorate from Carl Troll in 1962. He then moved to Basel, where he habilitated in 1968 with his geomorphologic work on the central Bernese Jura. Since then, periglacial research, in particular the comprehensive analysis of rock glaciers and mountain permafrost, has been one of his main research fields. In 1972, he was offered a professorship in Kiel but changed two years later to a full professorship in Heidelberg. From 1976-1982, he directed the priority program of the DFG “Geomorphological Mapping of the Federal Republic of Germany” whose aim was to create geomorphological maps in the scales 1:25,000 and 1:100,000 of typical landscapes of the Federal Republic of Germany. A total of 45 sample sheets have been published. Apart from implementing of the legend, Dietrich Barsch was also committed to the application-oriented and computer-aided evaluation. Other important aims in his scientific career were focusing mainly on Arctic regions and non-European high mountain ranges. He led a total of five expeditions, two of them to the Arctic (Ellesmere Island in 1978, Spitsbergen in 1990) and three to Antarctica (Kind George Island), as well as repeated visits to the Andes, Himalayas and Rocky Mountains. Together with Nel Caine he published a pioneering paper in 1984 regarding the systemic understanding of High Mountain Geomorphology. As a member of the Scientific Committee of Antarctic Research (SCAR), he contributed greatly to geographic polar research. Since the end-1980s, fluvial geomorphodynamics represented a further focus. His main research area was the Elsenz-catchment near Heidelberg, where various questions regarding hydrology (interflow), sediment budget and paleo-ecology have been investigated within the framework of different DFG projects. Also the Svalbard Project SPE90 focused on questions of current fluvial dynamic. In 1996, his highly respected book “Rockglaciers” was published. Apart from his research, Dietrich Barsch dedicated himself intensively to the academic teaching and self-administration. Therefore, he was multiple times acting director of the Department of Geography and twice faculty director of Geosciences at the University of Heidelberg. The numerous diploma and doctoral theses, which evolved under his supervision, reveal that the promotion of young scientists has always been very important to him. Dietrich Barsch knew, as only few university teachers do, how to arouse the interest of students in scientific challenges. His authentic passion for the discipline and his charisma captivated countless students. He quickly recognized the abilities of his students and encouraged them with the right mix of motivation and trust. Depending on the potential of his students, he was able to develop customized suggestions and solutions. Even in difficult situations, such as on excursions or under adverse conditions during research stays, he not only kept the overview and calm but also exuded by his positive attitude and optimism a confidence which provided cohesion and harmony. Dietrich Barsch has given his students great freedom – “you cannot carry the dog to hunt” was a frequently-used saying from his repertoire. Inextricably linked with Dietrich Barsch was also his trademark at the university – he always wore a bow tie with a white shirt, a professor of the old school. Many of his former graduate students have remained true to academia and have become renowned professors themselves. They have further developed his scientific foci and preferences, which were particularly located in the periglacial and fluvial geomorphology. Due to an illness, Dietrich Barsch was suddenly torn from his job shortly before his 60th birthday. His colleagues and many students are still grateful for the time of his active work. Dietrich Barsch will remain in our memory as a highly esteemed university teacher and scientist. For his contributions to Geomorphology, he received the Richthofen Medal of the German Working Group for Geomorphology (Deutscher Arbeitskreis für Geomorphologie) in 2005. 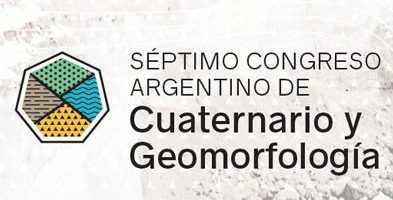 The International Association of Geomorphologists offered 2 grants of 500 euros to favour the participation of Young Geomorphologists (under 35 years old) from Latin America but not mainly based in Argentina in the 7º Congreso Argentino de Cuaternario y Geomorfología, “Geocuar 2018” organized by Argentine Association of Geomorphology and Quaternary Studies (AACG) being held in Puerto Madryn, Chubut, Argentina, 18-21 September 2018. The selection of candidates has been carried out by a Commission appointed by the IAG and the Geocuar Executive Committees.